Второй год подряд Biesse предлагает индивидуальные решения для обработки технологических материалов на выставке MECSPE, демонстрируя удивительный рост компании в этом секторе. At the Biesse stand, visitors to MECSPE are able to observe close up Rover Plast A FT the work centre which, thanks to innovative developments in the processing of technological materials, has demonstrated itself to be extremely reliable and competitive on the market. High-performance and precise, it features the latest generation of technology in order to satisfy the widest range of requests on the market. 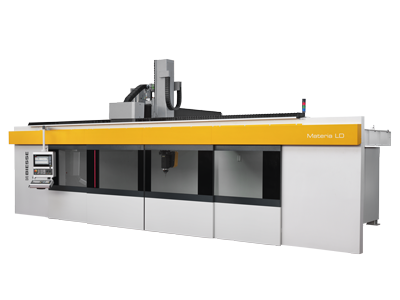 Alongside it's Brema Plast Eko 2.1, the compact and versatile vertical work centre which makes it possible to process technological plastics and composites in formats of varying size and thickness in the smallest space possible. 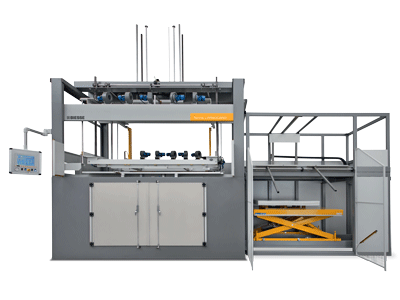 It is the ideal solution for the "just in time" production of a limited number of items, machined on all six sides with "zero time" recovery operations. Rounding out the Biesse products at the stand there is Materia CL, the versatile and compact 5-axis work centre designed and built to quickly satisfy the most various processing needs in the sector dedicated to the milling of advanced materials, composites, and special or stratified resins for moulds and for the processing of thermoformed materials, three dimensional elements of a particular form, and components for aeronautics, water vessels, and the automotive industry. 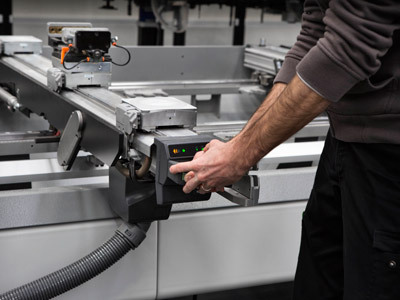 We are able to provide specific technology for every manufacturing process, with heightened levels of personalisation according to the type of material processed by the client and the type of component to be created. 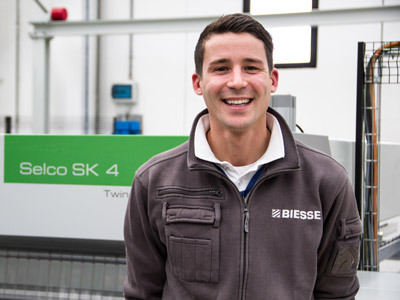 "At Biesse Group, we've chosen to invest in our skills, not only looking to the future, but also anticipating it, in order to remain one step ahead. We create new-generation technologies to facilitate the daily lives of our customers. What was complex in the past, is now truly within everyone's reach. 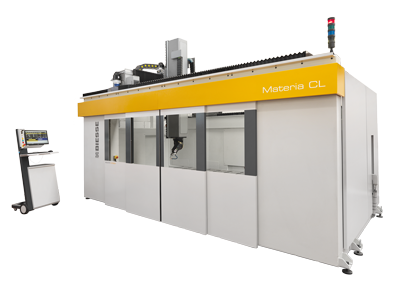 Simplification, increased efficiency, and total reliability are the elements which are at the foundation of our solutions" continued Nazionale. At the Biesse stand, the expertise of the technical and sales staff are available to provide solid answers to those present. Visitors are also able to request information on SOPHIA, Biesse's IoT platform, created in collaboration with the Accenture consulting firm, which provides its clients access to a wide range of services for simplifying and rationalising the management of their work. It is based on a connection to a cloud service and to special sensors applied to the Biesse machines. The information and data on the technologies in use can be recorded and sent in real time to optimise performance, prevent malfunctions, and increase the productivity of machines and systems. In addition, the direct connection to Parts, the Biesse replacement parts portal, and the chance to upgrade software with just a few clicks, provides clients with everyday work tools that can simplify a host of tasks. 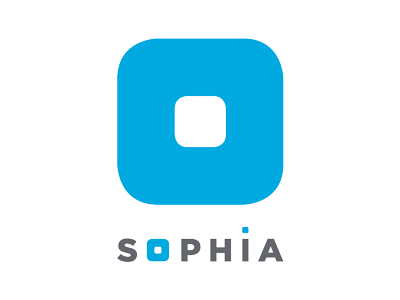 The main value of Sophia is the power of its predictive nature: the ability of this technology to provide a vision of the future, anticipating issues that may arise, identifying solutions, and improving performance. The IoT features within the platform guarantee a significant increase in productivity, thanks to a process of constant, accurate, and comprehensive analysis and reporting on manufacturing performance. The growth registered by Biesse in the technological materials sector is the result of targeted choices. “It derives from the company's investments in strategic assets like Sales Intelligence, Distribution, Marketing, and Communication, implemented with growth plans and targeted tools, and fully applying the company's guiding philosophy: Thinkforward. The resources dedicated to the technological materials sector by Biesse, around the world, have increased by 30% in the last year and significant growth is foreseen in 2018 as well. All of this so as to increase our presence on the ground, at the service of and closer to Biesse's true asset: the Client. Mecspe 2018 is an important opportunity to fully experience our company culture and to physically touch our 4.0-ready innovations" concluded Nazionale.